You can start creating a new ECDN server by clicking the Add new server button on the list of servers. It will display the page with the configuration steps. Setting the Location of the edge, will assign the external IPs and prefixes that belong to the selected location. Start setting the unique domain name of your edge server by selecting the naming method. 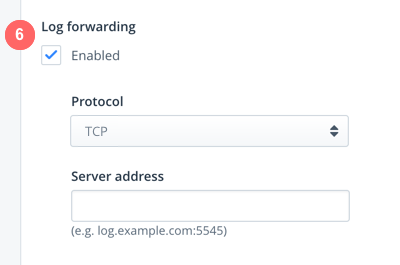 The "Custom hostname" option will offer you a randomly generated hostname. You can edit it here if you wish to apply your own naming conventions. 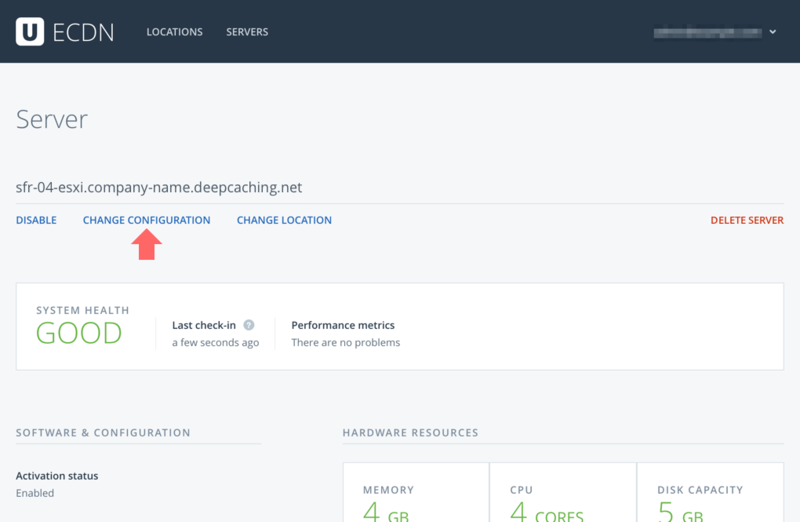 For example, if you enter yourcity-01 as your hostname, the fully qualified domain name of your machine will be: yourcity-01.company-name.deepcaching.net, where “company-name” is a unique string for your organization. The "Fully qualified domain name" option will let you choose the hostname along with the domain name. 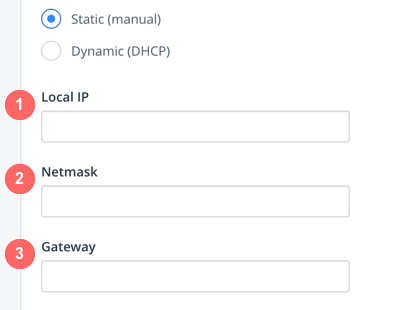 At first, select the IP address configuration method (manual or DHCP). Note: Local IP, Netmask and Gateway can only be set for the manual IP address configuration method. Note: If not specified, the default domain name server configured in the OS will be used. Note: NTP time servers are used for validating certificates and encrypted content. If not specified, the default NTP server configured in the OS will be used. Make sure the clock on the server is always accurate. Note: Any log collection system that supports syslog-style log streams is supported. The virtual CD image includes the configuration file for deployment. This image will be generated in the final step, then you can download it (along with the VM image for the selected server type). Select the format for your server type. Click Generate to create the virtual CD with the configuration file. 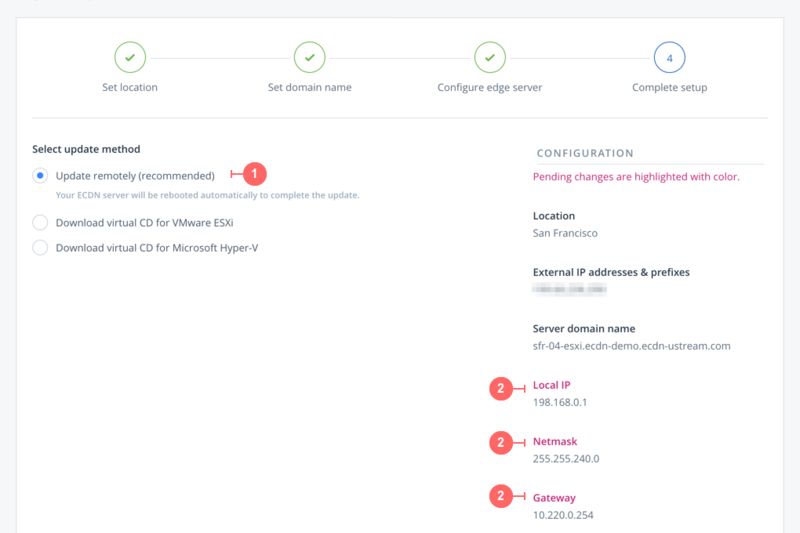 To change the configuration of an existing edge server, open the detailed view of the server, and click the Change configuration link. This will open the page where (similarly to creating a new edge server) you can change the configuration in 4 steps. When completing the setup, your default (and recommended) option is to update remotely (1). You can review the highlighted pending changes on the right column on this page (2).